If you have an approved application on file and have read this bio, have a structurally fenced yard, and feel you can provide for Murphy's needs, please email Marcie. Hi, I’m Murphy the girl dog (if you’re old enough… think of Murphy Brown from TV!) 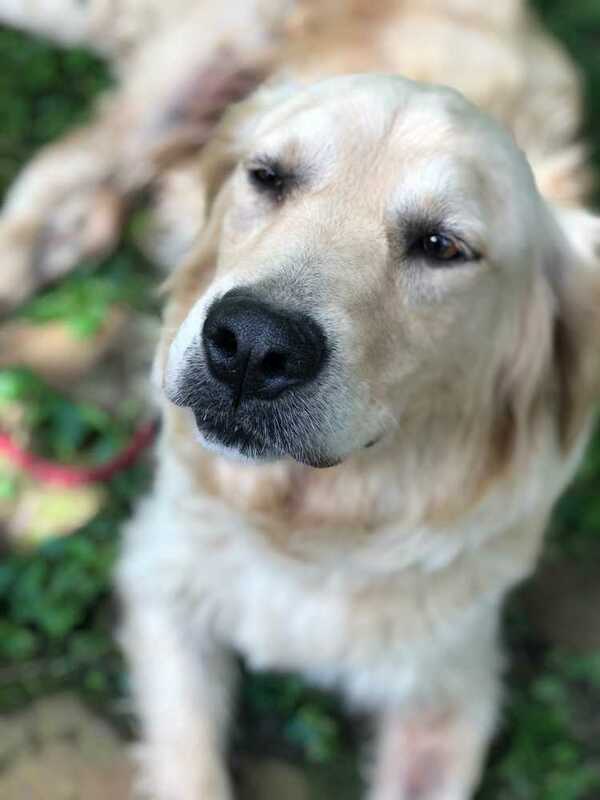 I’ma sweet and beautiful 4 yr old English cream Golden lady. I didn’t have the best life before coming to GRRACE but now I have learned to enjoy soft couches and beds and cuddling with humans and am even learning to play with toys! Before I was GRRACEd and came to live with my foster parents, I was used by an unsavory breeder to produce puppies. I was fearful of everyone and would just drop flat instead of walking on a leash. It’s taken awhile but my foster parents have worked hard to gain my trust and have been able to eliminate my need to hide and cower all the time. Today Im very social but still don’t have much appreciation for a leash. My foster parents have another rescue dog and we get along great together. She’s a little dog (just 14#) but I know to be gentle! I am still a little bit of a work in progress but if you have love to offer me and patience while I continue to trust, we will be the best of friends forever! Not to brag, but my foster mom says I am a happy girl who can melt you heart in a moment’s notice so watch out! Since I don’t much like the leash, I’m going to need a structurally fenced yard to go out to potty. If you have an approved application on file and are interested in meeting me, please email Marcie. I am being fostered on the east side of Indianapolis. If you have an approved application on file and think you might be the family who can love Murphy, please email Marcie. Please note - no emails will be returned to anyone without an already approved adoption application.